"Beautifully crafted, structured, and simple." – Hubert Selby, Jr.
Just as The Things They Carried and Catch-22 spoke to their generations with truth and dark humor, this brilliant first novel defines the experience of war for its era. Benjamin Jones, twenty-three, discharged after an army tour in Somalia, heads cross-country on a Greyhound, seeking refuge on the West Coast. He has left behind his best friend, Trevor, and Liz Ross, a female soldier with whom Jones has fallen in love. But Jones has also left behind a tragedy – a horrible, split-second action made in Somalia – that Trevor, Jones, and the army have implicitly agreed to forget. Alone on the streets of San Francisco, and then north on the Washington coast, Jones finds that an uneducated ex-soldier is qualified only as a peep show fantasy object or as a hired hand to a bottom-feeding smuggler and pornographer. Recurring visions of his life as a soldier gradually reveal the full truth – and agony – of his experience, and a reunion with Liz and a violent confrontation with Trevor bring the young soldier's journey to a wrenching conclusion – but one not without hope. 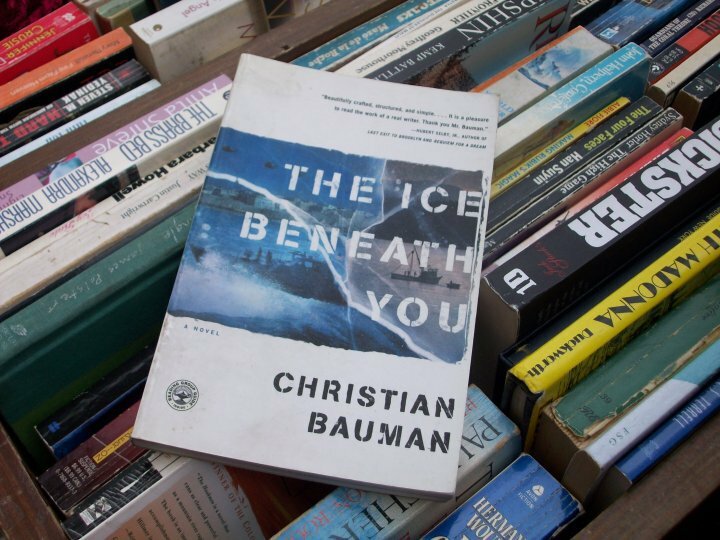 At equal turns tense, brutal, and poetic, The Ice Beneath You is a soldier's story for a time when there weren't supposed to be any more soldiers' stories.